Jef Lippiatt - Cardonic and their unique needs. This client was just getting started, so I started with helping name the business. After the name was chosen, the rest of the branding was developed, including their logo. As a budding e-commerce company they also needed a website with an integrated shopping cart system. The starting point was really understanding that this client wanted to start a different type of greeting card and gifts business. Their goal was to become the "anti-Hallmark". The tone of the business was centered around sarcasm and humor. 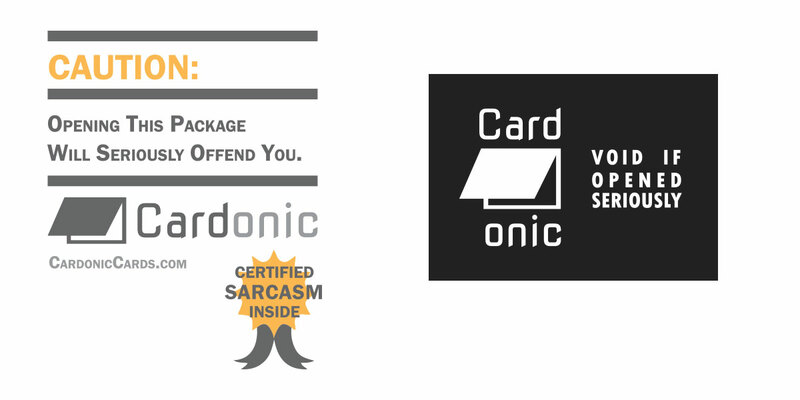 That was the driving force behind the name I created, "Cardonic" which is a blend of "Card" and "Sardonic" for sarcastic cards. 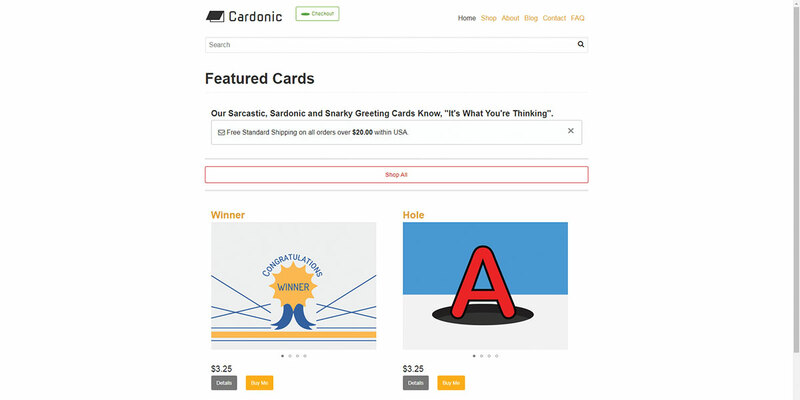 The name "Cardonic" emphasizes their main product (cards) with a nod to sarcasm. I also developed a tag-line for them, "It's What You're Thinking". This aligns with the attitudes of their desired customers who find overly sappy cards off-putting. It was important to the client to have a simple but recognizable logo. 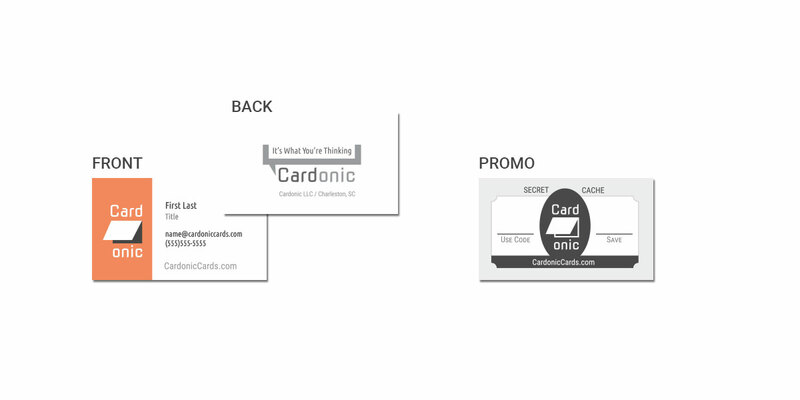 Their name, Cardonic, was split in half with a slightly open greeting card between. This again was done to emphasize the word "Card" within the name. The brand&apos;s overall colors are black and white with several grays in the mix to help elevate the punchy colors and languages of their cards. The responsive website that was created for them was built on the light weight Content Management System, Yellow CMS. This allowed easy integration of the third-party shopping cart framework. The shopping cart system chosen was Snip Cart due to it running on an API that was easy to add with just several lines of code. This was important to the client because they wanted the ability to make changes to the code as needed. 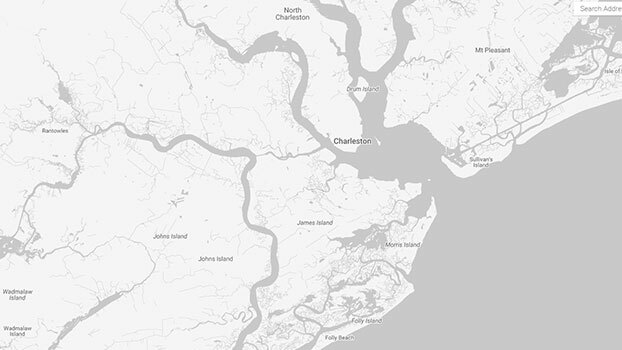 After the initial website was constructed, I integrated Google Analytics with their CMS. The next phase was putting together a unique strategy for an online-only greeting card venture. Considering the tone of the brand, I suggested using secret promotion cards, "Secret Cache", to help add some novelty to the buying experience. The other strategy element was constantly using sarcasm and creating original memes for use throughout their social media. I am currently helping them plan a migration from Yellow CMS to the Shopify platform. The client was not getting the desired results with their existing website and wanted to leverage a more industry standard e-commerce platform for their push into 2018.